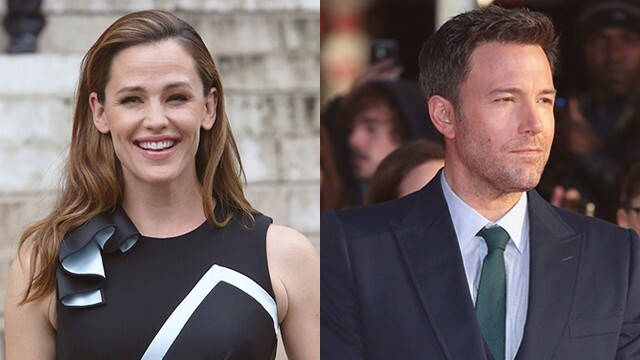 Are Ben Affleck and Jennifer Garner Getting Back Together? Is there still a chance for the both of them? Ben Affleck and Jennifer Garner are not back together, despite tabloid reports suggesting the couple has called off its divorce. Sources told the new issue of OK! magazine the estranged Hollywood pair has reconciled, prompting the headline, "The Divorce Is Off!" But insiders close to Ben and Jen insist they are not back together over a year after announcing their split, and they have not decided to give their marriage "another chance." One source tells Gossip Cop, "It's just stupid," while another adds, "Jennifer did not take Ben back. They are 100 per cent still separated and focused on co-parenting for their kids' sake." According to OK! 's insiders, the Afflecks are "100 per cent back together" and acting "like newlyweds again."